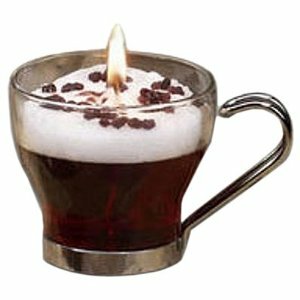 The scent for this coffee candle is Irish Cream. Looks like a real fancy coffee drink in a glass mug. The mug is filled with an Irish Cream scented gel. Contains PURE paraffin wax and cotton wicks.